It’s July and we’re fully immersed in summer fun: swimming, travelling, frolicking but all the while, my nine year old is slip-sliding away…. specifically, his math skills are. All the progress made in the spring is slipping away. I don’t tell my children this, but I despise arithmetic. Words are my thing. It seems my son has inherited my love of literacy and my distaste for addition, subtraction and all things numerical. As an elementary school teacher I know that though all children have strengths and weaknesses, all children can learn. The key is finding the way best suited for them. So this summer, before we slide any further down this slippery number line, we’re not playing around. Er, well actually we are, playing. Playing math games. We have discovered that our son responds well to math games, puzzles and other FUN problem solving activities. 1. 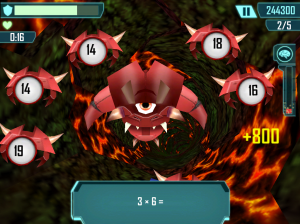 Puzzles like this IcoSoku Game from Recent Toys I hate puzzles more that I detest math, but this turned out to be fun. Easier than a Rubik’s Cube, but harder than doing your taxes. It says it’s designed for ages 5-10 but I’d like to meet the 5 year old that can solve this. I’m 151% older than the target age range (I’m not sure how I came up with that percentage. It *could* be wrong) but even with my age advantage, my nine year old can solve it faster than I can. I seem to always have one piece left over. Curse you mathematics. 2. Physical games that incorporate both math facts and movement. For example. ‘Tippy Toe Math Facts.’ Yes, we made up the name, but it’s not as lame as it sounds. My son is having a really hard time recalling basic addition, subtraction and multiplication math facts. Boring rote memorization does not work for him so making number fact rehearsal into a physical game, makes him more apt to participate willingly, to focus and retain. Tippy Toe Math is simple. The object is for the player to make it across the room (or the lawn) in a specified amount of time. Cross and gain a reward (hurl a water balloon at your mother), do not cross and pay the price (stand still and take it while your loving mother pegs you off with a water balloon). You choose whatever rewards and consequences work for you. Start by asking a math fact. The player has three seconds (we say, 1 tippy toe, 2 tippy toes, 3 tippy toes) to respond. Answer correctly, take one giant tippy toe forward. Answer incorrectly and take one giant tippy toe backwards. 3.Video Games…ahem, EDUCATIONAL video games. We’re currently enjoying MathBlaster.com. Kids (ages 6-12) complete arcade-style math challenges and race through high-speed missions, trying to become members of the Intergalactic Space Patrol. They explore a futuristic world, voyage to strange new planets and discover wacky alien races, all while practising their math skills. If you’re anti-video game, then this isn’t for you, but my child loves to get his Wii on so this activity (in limited amounts) works for us. 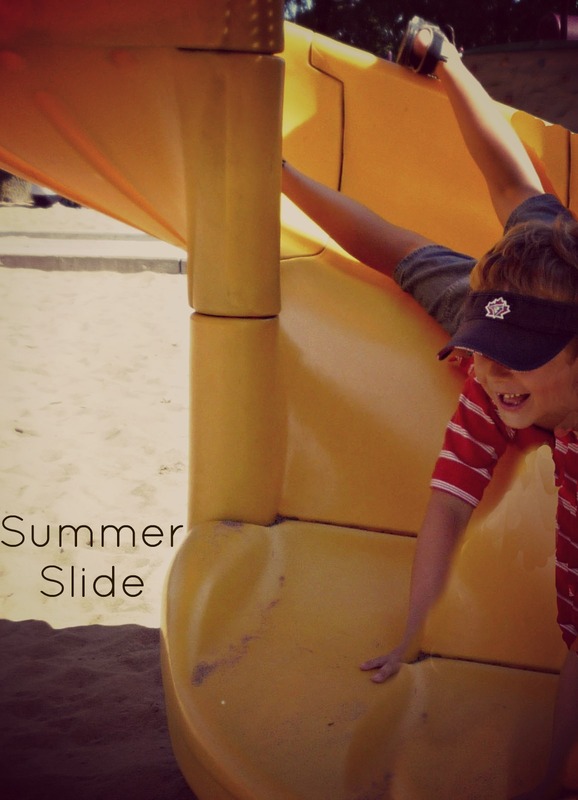 This summer, we’re hoping to limit all sliding to playgrounds and waterslides so that when grade four comes along this September, our little math man will be the ruler of the class, number one in his division or at least equal and never feeling less than. Sense a pattern here? It’s all adding up, right (angle)? I don’t want to be negative, but math takes practice, and that’s a fact.